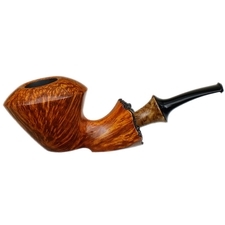 In true S. Bang fashion, this Ulf-made Acorn boasts the Danish duo's conventional pairing of muscular shaping with the soft, flowing lines of the Danish school. 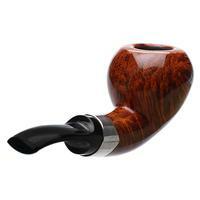 The whole piece rests on the consistently arching curve at the underside, with the high-waisted bowl rising out of the gentle transition to display an easy forward cant. 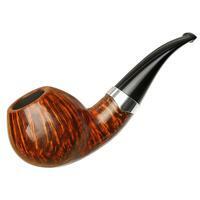 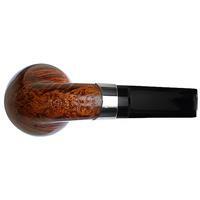 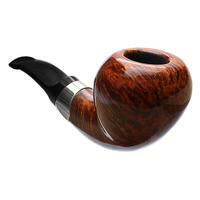 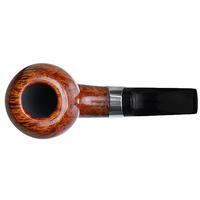 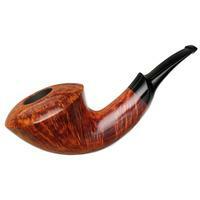 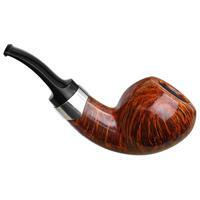 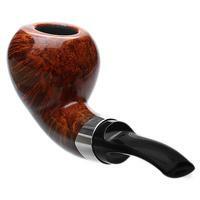 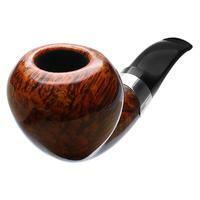 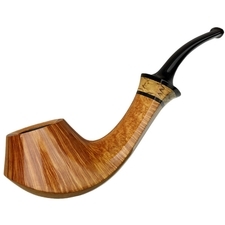 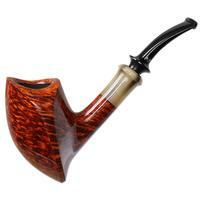 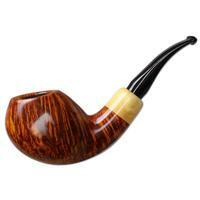 Though compact in length, the piece fits firmly in hand thanks to the stout proportions and bulging sides of the bowl. 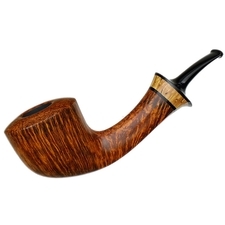 With perfectly oriented grain, cross grain is stacked symmetrically on either flank as birdseye richly populates the entire fore and underside. 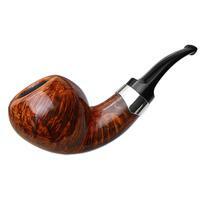 The scalloped silver band at the shank-end is not only generous, offering a contrasting brightness to the stummel's warm, red-walnut stain, but is also a signature style of accent fashioned by Ulf and Per themselves. 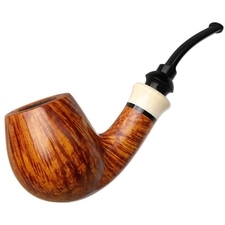 If you've yet to add an S. Bang to your collection or are looking to expand, this offering is a stunner and a great example of the carvers' beautiful style and expert craftsmanship.